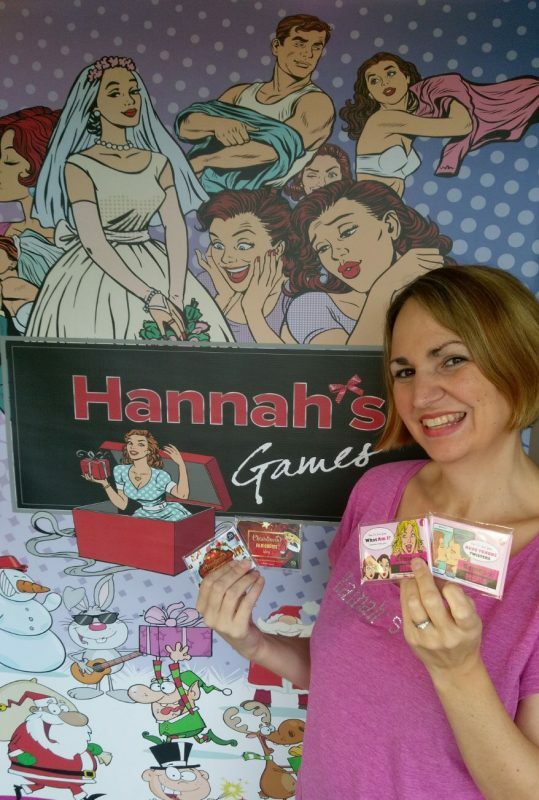 Hannah Daragon, MD of Hannah’s Games and recent eBay award winner, has a lot to smile about as her Plymouth-based business selling card games for almost any party genre continues to flourish. Hannah Daragon, MD of Hannah’s Games, makes and sells card games for parties. Starting her business creating hen party games, her business has expanded to include a game for almost any party genre, with a selection of quirky games suited to either the whole family or an adult-only audience. Recently, Hannah’s Games won the prestigious Ebay ‘Be your own boss’ award, marking her growing success online. Hannah decided to start a new venture away from her demanding teaching position in order to find a better work-life balance for her young family. However, despite the change in pace, type of work and lifestyle, Hannah puts a lot of her success down to being able to apply transferable skills from one industry into another; she is eager for people who are considering taking a similar leap from Employee to Business Owner to find comfort in this. Hannah found that as her start-up venture began to flourish, ‘time’ remained a constant constraining factor for the business’ growth. Hannah was spending too much time learning business acumen from scratch but knew there must be more efficient training resources available. Enter the Growth Hub. Our Online Business Adviser, Laura Daniel, referred Hannah to the Growth Support Programme where she was able to receive a diagnostic review of her business and a one-one mentoring package with Business Adviser, Graham Leigh, of the YTKO Group. In addition, Hannah enjoyed digital skills support sessions delivered by Cosmic, enabling her to become more efficient on the digital platforms that she uses. Hannah has also attended a series of fully-funded business support workshops, which have proved to be valuable networking opportunities. Since attending the workshops, Hannah and some of the delegates have set up collaborative working groups to share best-practice allowing them to access ongoing peer-led business advice quickly and easily. WHAT HAPPENED NEXT: Hannah tells the Growth Hub about the awards ceremony hosted on 10 January 2018, dedicating her award to all those overcoming ill health. CLICK HERE.